We here at GMH-Torana.com.au Wish the HVTC and all entrants the very best for the day, and i'm sure this year will grow and be better than ever! We've booked our accomodation for the weekend already... Have you!?! Any chance of getting one of those posters for the shed????? I'll go a poster and a shirt thanks. The Posters are promotional and will be up all around the Hunter and Central Coast and hopefully as many McDonalds as we can get to, but some may be available on the day but more importantly a Special Poster with a Torana Race Car Theme will be available on the day and you can get it signed by some of the Race Car drivers, Harry loves to write short novels on things. Best and cheapest way to get a shirt is enter and not only get a shirt get a goodies bag worth more than your entry! Might even get a trophy??? 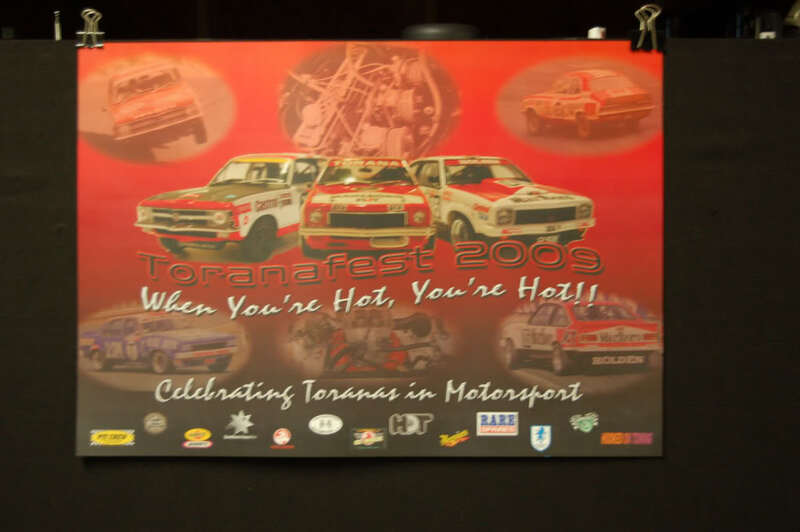 Remember Toranafest is a celebration of the Torana no matter what condition, if its a Torana get it to the foreshore!! No Excuses! Are we doing something to help identfy other GMH-torana members???? I will keep a couple of posters for you.. I will put some pics up on the Toranafest thread of the other merchandise just as soon as we have rec'd the items. i will see you there with my set of twin plums, and brocky i will be popping over for a chat. so is 32D coming this year?? i am not sure mick, mabe on the trailer for sale. If you can let me know, when you decide, that would be great. Bringing the drag car up. the motel only has about five rooms left!! Better get in fast.... This is going to be HUGE! Toranafest is only 7 sleeps away!! If you haven't already entered... WHY NOT!?!? You had better get in quick!! If you have, Then see you there! Dont forget, Bring your sunscreen and a hat, it's always a gorgeous day! ^ and your sunnies too, the sun glare of all the Toranas will be blinding!